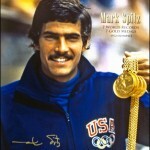 Like a lot of people, I've been watching a fair amount of the Olympic games this week. Quick question: with all of the cable channels nowadays, why don't I have the opportunity to watch any sport I wish? Instead, I'm being force-fed a diet of gymnastics, beach volleyball, and swimming. Not that I don't like these sports (OK, the only thing I like about beach volleyball is athletic women in bikinis), but I would like to be able to watch judo, fencing, and even trampoline. Did you know that trampoline was an Olympic sport? Neither did I. But karate, a sport that has millions of practioners, is not an Olympic sport. Go figure. Anyway, while watching swimming events, I've been struck by how many world records are being broken. A couple of days ago I watched a heat of the women's 200m freestyle in which the world record was shattered by Federica Pellegrini of Italy. Two days later, she won a semi-final race in the same event by breaking the world record she just set two days ago. Most shocking was that the next two finishers also finished faster than the record time set just two days before. As of 9:40 EDT this morning, 18 world records have been set in swimming events at the Beijing Olympics! That's 10 more than in the Athens 2004 Olympics and four more than in the Sydney 2000 Olympics. And the Beijing Olympics are far from over. 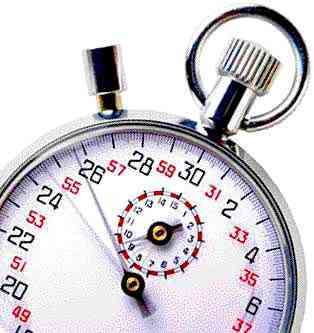 So what's causing all of the world record times? A quick Google search reveals four main theories. The widespread use of the new Speedo swimsuit, the LZR Racer. The suit is made of a low-drag polyurethane fabric that repels water and uses compression to further reduce drag and maximize muscle performance. Some critics claim it increases buoyancy, a direct violation of Olympic rules. Athletes wearing the suit have broken four dozen world records since its introduction six months ago. More financial support for athletes. Today's athletes are allowed to have endorsement contracts and are better able to support themselves and their families. 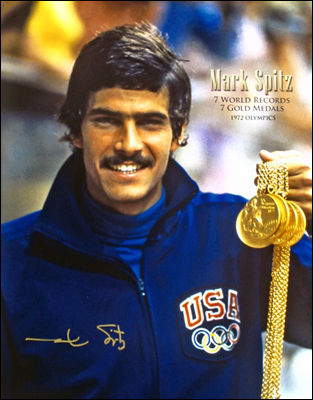 After winning 7 gold medals in 1972, Mark Spitz had to retire from competitive Olympic-level swimming in order to support himself in an era when amateur athletes were forbidden endorsement deals. Athletes today can compete longer, into their peak athletic years, and therefore have more opportunity to maximize their potential. If Michael Phelps breaks Spitz's record of seven gold medals in one Olympics, he will receive a $1 million bonus from Speedo, the manufacturer of the LZR Racer suit that Phelps will be wearing. The pool at Beijing is configured to maximize a swimmer's speed. Still water is fast water. The Beijing pool is deeper and wider to reduce turbulence. Doping. Admit it, that was your first thought. In sports where big money is at stake and millimeters and/or hundredths of a second make the difference between winning and losing, there will always be rampant use of performance enhancing drugs. 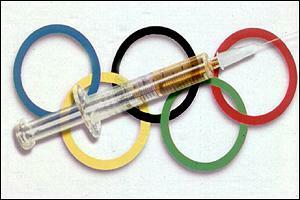 Every sport has been plagued by athletes who resort to using drugs to enhance performance, e.g. cycling's Tour De France winner who was stripped of his title, and an Olympic 100m gold medal sprinter who was stripped of his title, and baseball's home run king who should be stripped of his title. I certainly have no problems with the first three theories. Sports have always evolved with technology. Baseball players benefit from better gloves, bats, uniforms, and shoes. Football equipment has certainly improved over the decades. Pole vaulters do it with better poles. And everyone should have the opportunity to make a living while pursuing their dreams. I don't believe athletes should be paid for competing in the Olympics, but they also shouldn't be denied the possibility of endorsement deals. But please, please, please don't let this sudden assault on world records be the result of doping. I don't want to hear in a couple of months that Michael Phelps has tested positive for a banned substance. I'm already cynical enough. I recently blogged about a small software project with which I'm involved that is saddled with using a waterfall project methodology; I have never been a fan of the waterfall method but, on this project, I am being engaged through another consulting company that is providing the project management, so I have no choice. I've estimated that the software development portion of the project will entail 120 man hours of effort -- a very small project. Yet, for this small 120 hour project, I've seen 3 major revisions of project scope documents and four weeks slip by while the project manager attempted to "nail down the requirements" with the client. Now it appears the client has signed off on the "final" project scope document and is ready to begin the project. So the project manager met with us on Friday to kick off the project and discuss the project plan. A 105 step project plan! For a software project that is estimated for 120 man hours. 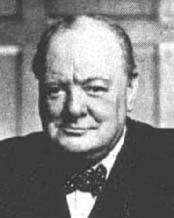 To paraphrase Churchill, never in the face of human endeavor has so little been tracked by so many to so few. At this point, the client has many pages of requirements documents and an exhaustive project plan, but not a single line of working software code. The management structure of the project has already consumed more time and effort than the actual development of the project's ultimate deliverable -- working software. Somebody please explain to me how anyone can still place any value on this style of project management.